Thinking about purchasing or selling a home? We have the legal knowledge and experience to help. We have provided legal representation to clients who bought or sold ocean front properties worth tens of millions of dollars, and have also represented clients who are first time home buyers purchasing a starter home. Here at OMB, no real estate legal matter is too big or small. All attorneys are knowledgeable of all the state and local laws applicable to real estate transactions. And, after buying the property, if you are interested in renovating, remodeling or reconstructing the house or other structures on the property, the attorneys at OMB can discuss your options and guide you through the process. Interested in buying or selling commercial property? Whether you are attempting to sell or buy commercial properties, improved or vacant land, any of our attorneys are here to represent you. OMB boasts to have represented a wide range of commercial clients who have purchased existing buildings or raw land with the intention of developing or re-developing it for their businesses, and are skilled in doing so. And, when disputes involving real estate arise, the matter can seriously affect the ability of a project to move forward in a timely manner. Our firm can assist clients facing a wide range of real estate dispute matters including deed restriction enforcement or defense and the enforcement of covenants and restrictions; boundary line disputes which arise when adjacent property owners disagree about their property boundary lines; title disputes and real property contract disputes. Breaking ground for your commercial or residential land use project can require a number of different permits with a complicated approval process involving several different governmental agencies or administrative boards. 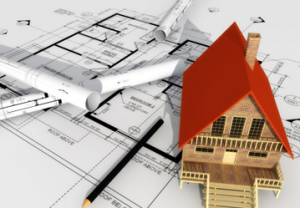 As a result of our vast experience, we are able to handle all legal aspects involved in such projects. 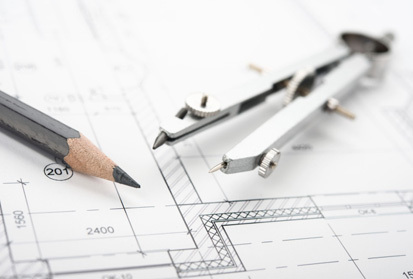 We handle commercial and residential planning and zoning issues involved in developing property, as well as subdivisions, commercial site plans and environmental permits. As former town attorneys, OMB has intimate knowledge of local land use laws and how to deftly guide your project through the complex approval process. We provide debt relief assistance. If you or your business is facing harassing phone calls from debt collectors or have bills stacking up making you feel overwhelmed, filing bankruptcy may be a good option to get your finances in order. Our firm can discuss your financial situation with you and determine if bankruptcy is the right route for you to take to solve your financial problems. With knowledge of filing Chapters 7, 11, and 13 bankruptcy, our attorneys can assist in finding the best possible solution for you. 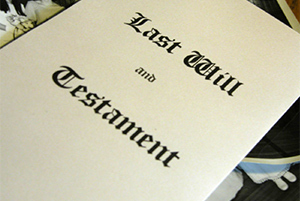 While it often is the last thing you want to think about, having a last will and testament is an important tool to protect the interests of family and loved ones. A will and a well prepared estate plan will help ensure that your wishes are carried out and your family is properly taken care of once you are gone. Our attorneys at OMB are ready and able to advise you on what estate planning entails, including information concerning the preparation and execution of wills, setting up trusts, health care directives and navigating the probate and estate administration process. Over the years, OMB has represented numerous landlords and tenants in eviction proceedings before courts in eastern Suffolk County. The landlord and tenants courts pose unique challenges for attorneys and litigants because a seemingly minor mistake in the preparation of legal documents, or the service of these documents, can often result in the dismissal of the case. We at OMB are experienced in landlord tenant matters, including the preparation of the petition and notice of petition eviction papers, the proper service of these documents, conducting hearings in court in connection with the eviction, and the preparation and service of all paperwork on the sheriff’s office to effectuate the eviction. Facing criminal charges can be extremely intimidating. With years of experience as former prosecutors, OMB has the knowledge and skill to protect the rights of the accused in all types of criminal cases. We will fight tirelessly to protect your rights and minimize the legal consequences of your actions. OMB provides quality legal representation for a wide range of criminal matters and prides itself on providing personalized expert legal representation. OMB has a record of successful results and a long list of satisfied clients. OMB’s attorneys are well-respected among judges and prosecutors and have gained a reputation as effective trial attorneys who use their expert knowledge to get charges reduced or dismissed, or when necessary, resolving cases before trial after evaluating and assessing the long term ramifications of any resolution. OMB has handled thousands of real property tax assessment challenges and secured hundreds of thousands of dollars in tax savings to homeowners and commercial property owners over the years. With experience gained from previously representing municipal taxing authorities, O’Shea, Marcincuk & Bruyn’s attorneys have an unsurpassed ability to communicate, facilitate and achieve success in the assessment challenge process. At OMB, our clients benefit directly from our solid foundation built on experiences and integrity, and the close working relationships we have developed with the assessing authorities over the years.